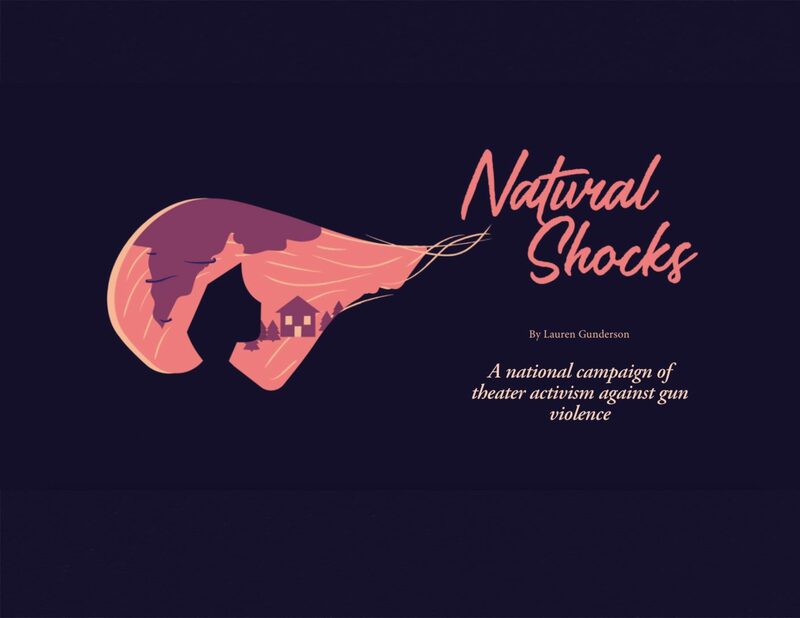 Marin Shakespeare Company staged a reading of NATURAL SHOCKS, by Lauren Gunderson, on April 20th, 2018, 7:00pm in concert with Naturalshocks.org, a national theatre activism campaign against gun violence. ….and 761 cases of domestic violence reported to the District Attorney. • From 2001 to 2015 46,300 firearms were purchased in Marin. • Nationally, more than half of women murdered with guns are killed by family or intimate partners. • U.S. women are 11 times more likely to be murdered with guns than women in similar countries. • The presence of a gun in domestic violence situations increases the risk of homicide by 500%. • In states requiring a background check for every handgun sale, 38% fewer women are shot to death by intimate partners. Women who seek the help of a Domestic Violence counselor are 70% less likely to be hurt. Please contact Marin’s Center for Domestic Peace for more information and 24 hour assistance in English and Spanish. Based on Hamlet’s “To be or not to be,” Natural Shocks is a new 65-minute, one-woman tour-de-force play that bursts to life when we meet a woman waiting out an imminent tornado in her basement. She overflows with quirks, stories, and a final secret that puts the reality of guns in America in your very lap. The play is part confessional, part stand up, and part reckoning. NATURAL SHOCKS featured Beth Kellermann Fouts*, was directed by Tina Rutsch, and is a collaborative effort between Marin Shakespeare’s Education and Social Justice Departments. It is a unique educational opportunity to explore the ongoing theatrical conversation between Shakespeare, current playwrights, and current issues. Attendance at this event supported the local organization Center for Domestic Peace.